Why do you Need High Quality Protein? As people move into their 30s, muscle mass and strength start to decline. Post 30, adults tend to lose 3-8% of their muscle mass per decade. This leads to drop in functional capacity which can then cause early fatigue. Optimum intake of high quality proteins and regular physical activity can reduce this decline in function. Maintaining muscle mass depends not just on the right amount of proteins but also on the right quality consumed. 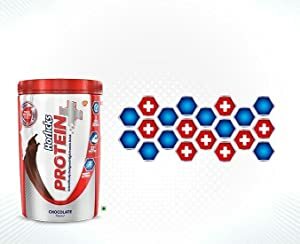 Whey, Soy and Casein, the proteins in Horlicks Protein+ have PDCAA score (protein quality indicator) of 1, the highest score possible on this scale. Whey Protein is a fast release protein, being digested rapidly and leading to a fast increase in amino acids into the blood. Soy Protein is termed an ‘intermediate release protein’, releasing amino acids into the blood a little slower than whey but higher as compared to casein. 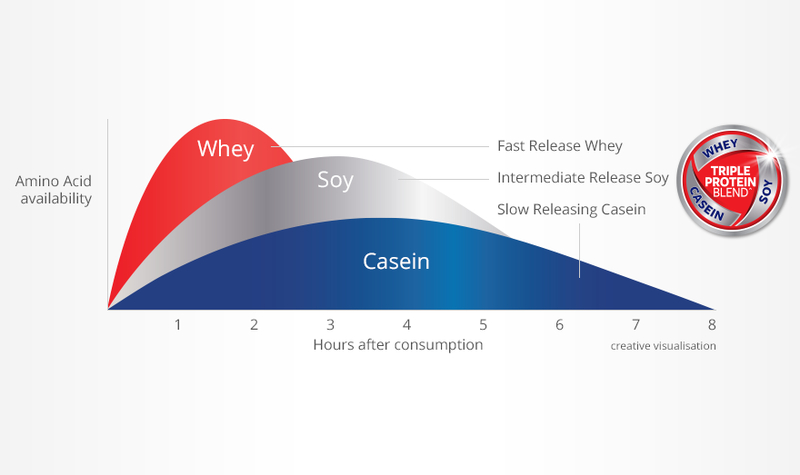 Casein, the dominant protein in milk, is a slow release protein with a lower peak but a more gradual and prolonged amino acid release pattern. 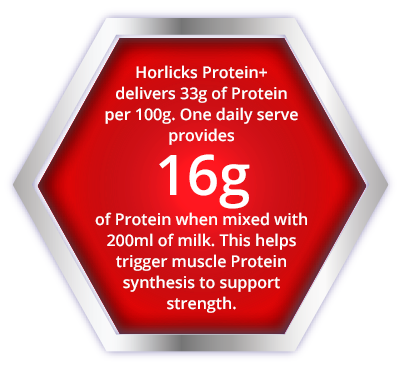 Why Horlicks Protein+ is the Better Protein? 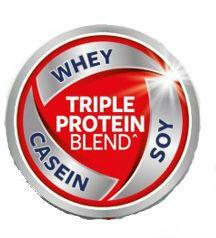 There are 20 Amino Acids and your body needs all of them to maintain muscle mass and strength. But 9 of them cannot be made in the body and so need to be consumed. These are called essential Amino Acids. The 3 Proteins in Horlicks Protein+ contain all the essential Amino Acids needed to build and maintain muscle mass, important for strength. Why does this level of protein matter? 1 mug of the leading HFD provides 3g of Protein. 1. Quintiles IMS (Aug 2017) Concept test amongst HCPs n=183 pp21. 2. 3 times protein refers to comparison with market leading HFD (GSK Data on File).